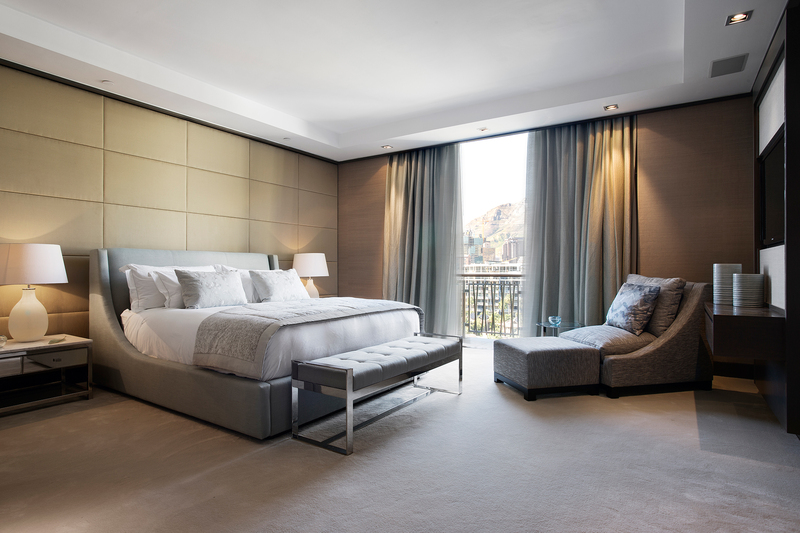 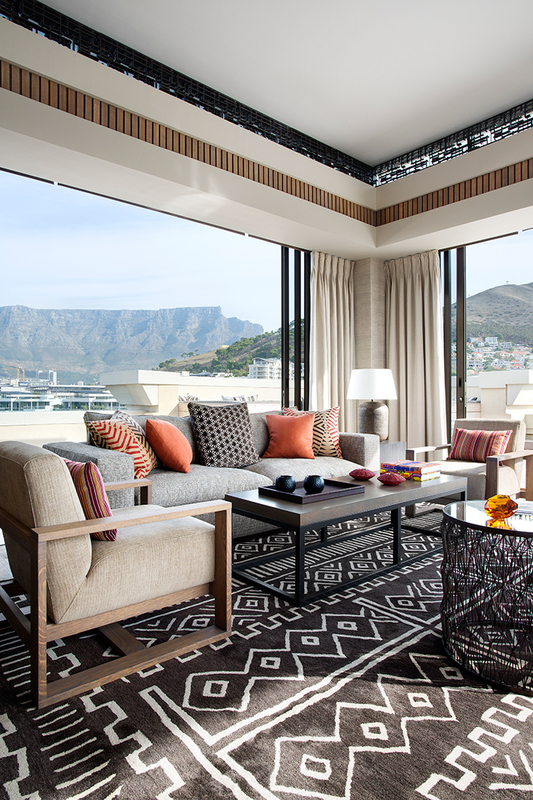 The privately owned 800m2 penthouse apartment affords uninterrupted views of Table Mountain as well as Table Bay. 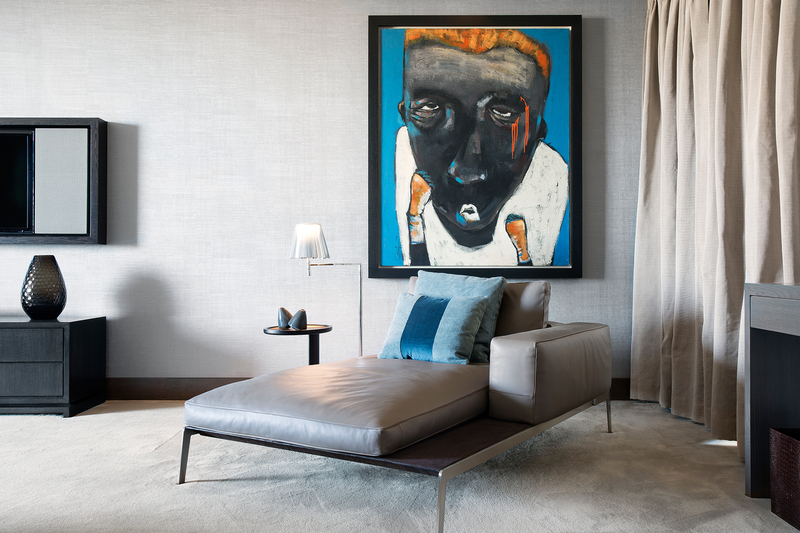 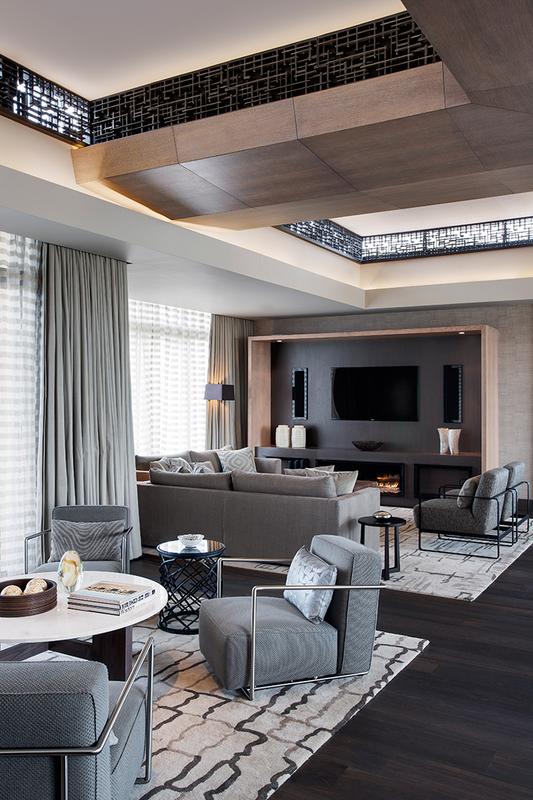 The four bedroom apartment has been designed with a contemporary feel and a sophisticated palette. 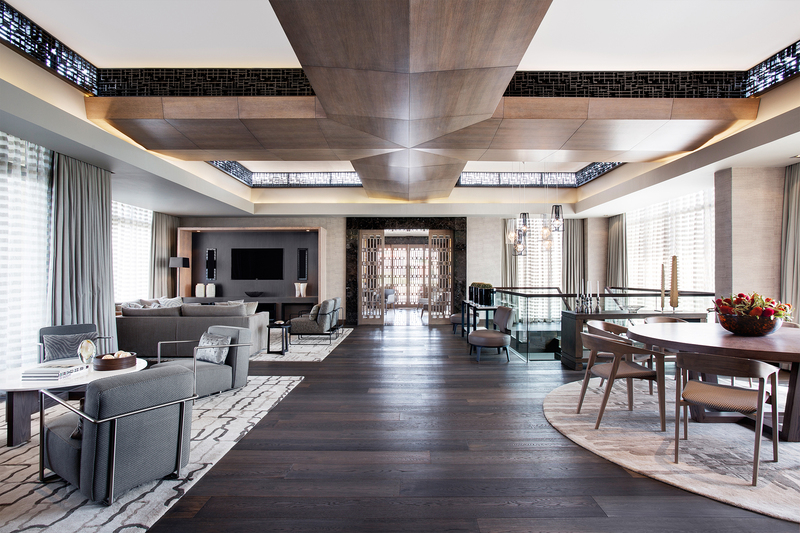 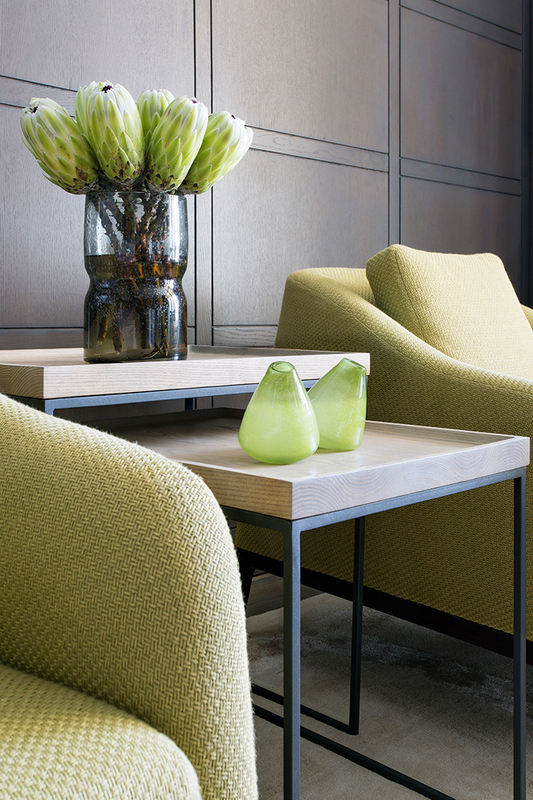 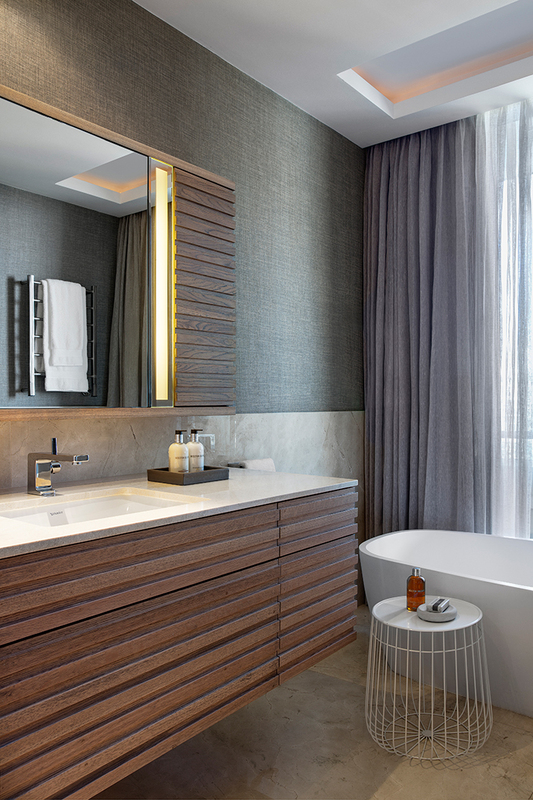 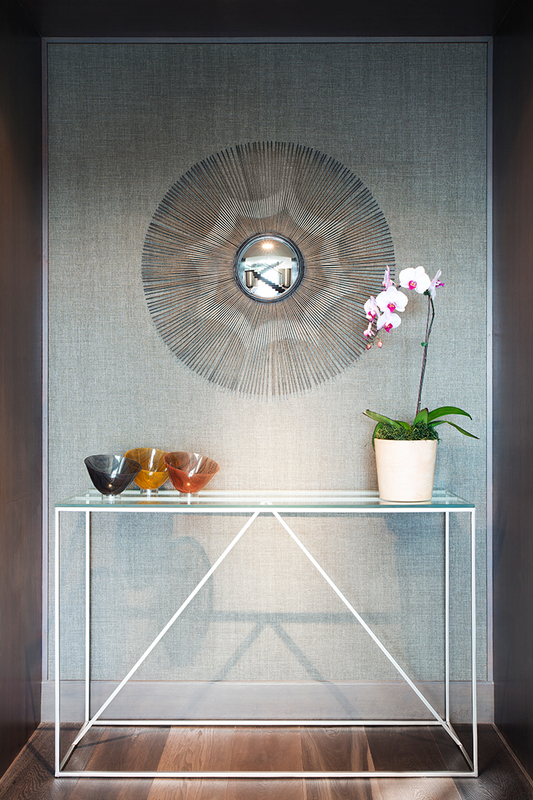 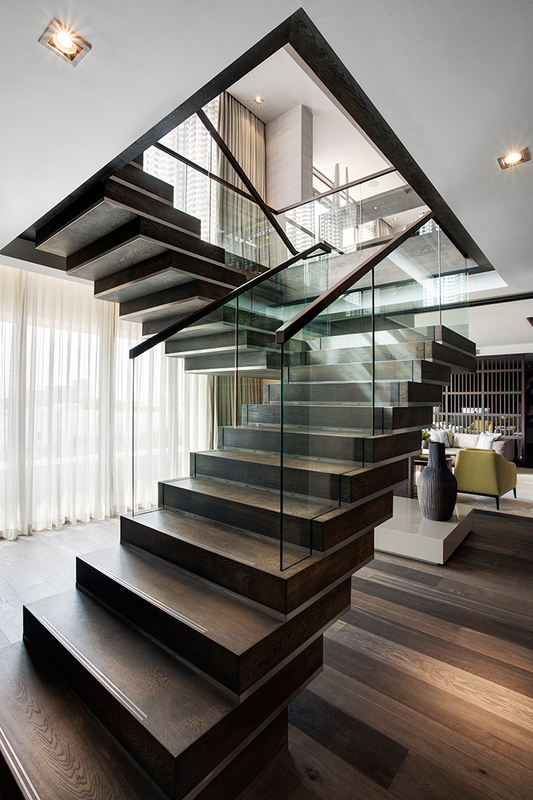 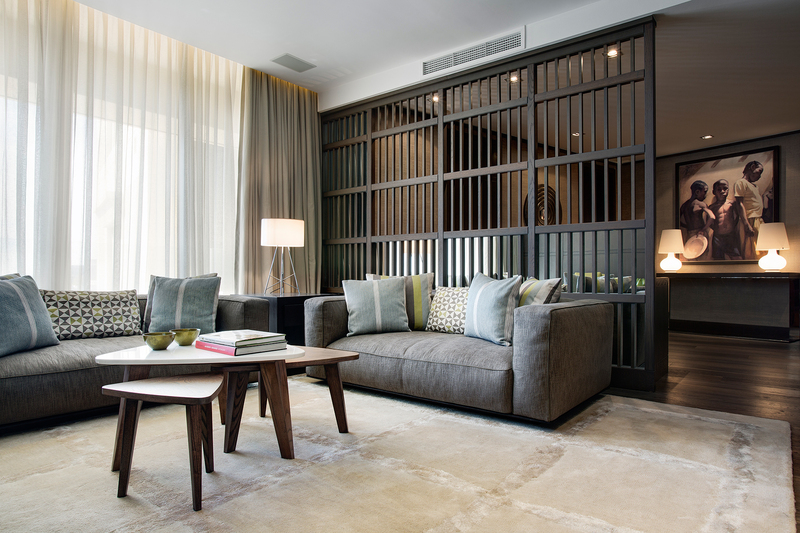 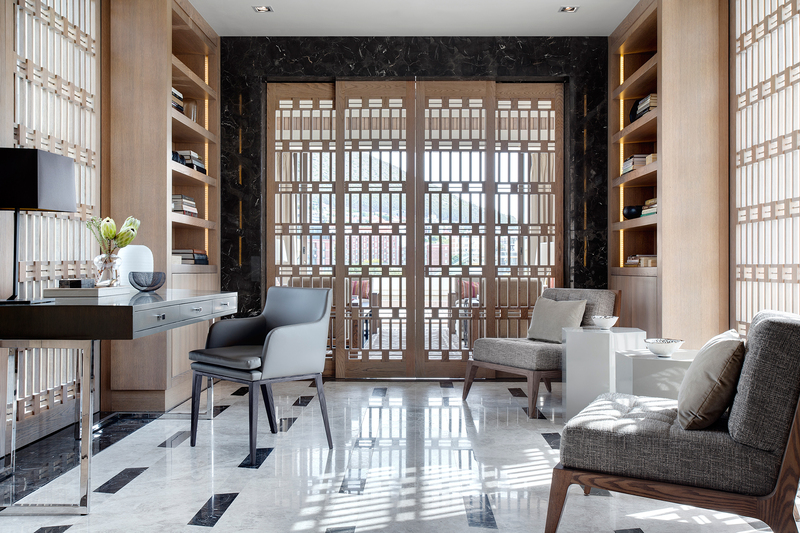 Finely crafted joinery and timber paneling create a backdrop, highlighted with layers of complementary patterns in the carpets, wall-covering and upholstery, all which come together to create a rich and elegant interior befitting this exclusive property.